Located on the World’s Richest Acre, site of the East Texas Oil Boom of the 1930s, downtown Kilgore is still booming with unique boutique shops, delicious dining options, lots of oil derricks and architecture reminiscent of those oil boom days. Kilgore is an accredited Texas Main Street Community and is committed to preserving the history of our downtown and coupling it with creating a strong, vibrant business community for all to enjoy. 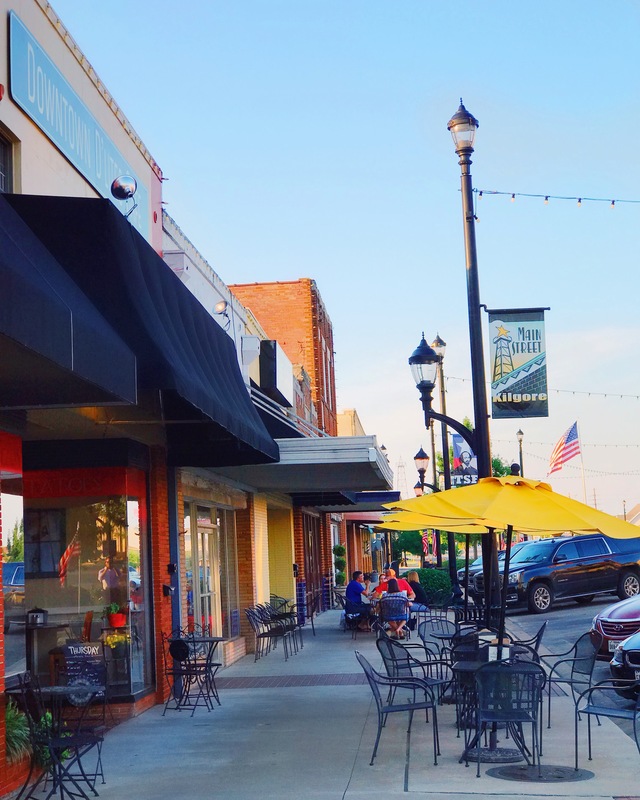 For more information about downtown Kilgore, visit Kilgore Main Street.